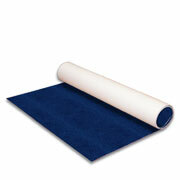 Portable trade show flooring available a wide array of materials, colors and just about any size you need. All packages arrive complete with easy to follow instructions and can be assembled with relative ease. Custom sizes are available. Have questions about choosing the right trade show flooring for your exhibit? Call toll free at 1-855-536-3385 or inquire here. 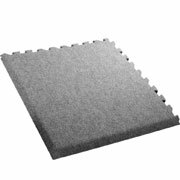 Anti-fatigue carpet tiles with a patented interlock design to create a safe, comfortable surface for attendees and staff. 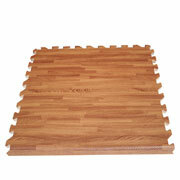 Anti-fatigue floor tiles available in a selection of colors and faux-wood patterns. 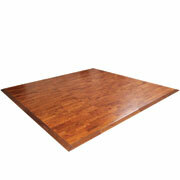 Interlocking hardwood flooring panels that assemble into a gorgeous floor for your exhibit space. Custom hardwood floors inquiries welcome. Thinking green? So are we! 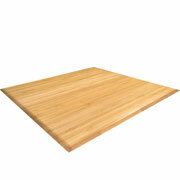 Have a look at these specially priced, eco-friendly (and gorgeous) interlocking bamboo floor packages. 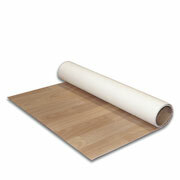 Rollable cushioned vinyl flooring sized available in a diverse range of popular patterns colors. Avoid those excessive rental fees at every trade show and get your own quality, portable trade show carpeting. 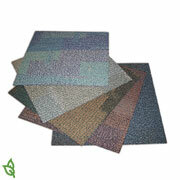 Eco-friendly trade show flooring specifically made to have a low environmental impact. Three types are currently available.